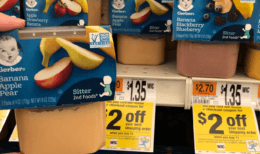 Starting 10/19 Stop & Shop has Marie’s Dressings on sale for $3.00 each! 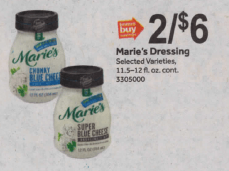 We have a $1/1 Maries Dressing, printable coupon available. After coupon pay just $2.00 per bottle! But wait we also have that awesome $1/1 Maries Refrigerated Salad Dressing for any variety, any size. 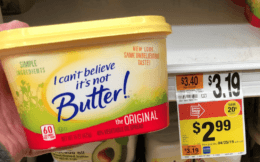 (Limit 5) (Various Stores), Ibotta Rebate to stack on this deal. After stacked offers pay just $1.00! Great deal!